A little over 13 months ago Sony launched the Xperia Tablet Z, so it should come as no surprise that a new, upgraded slate is now ready to take its place. 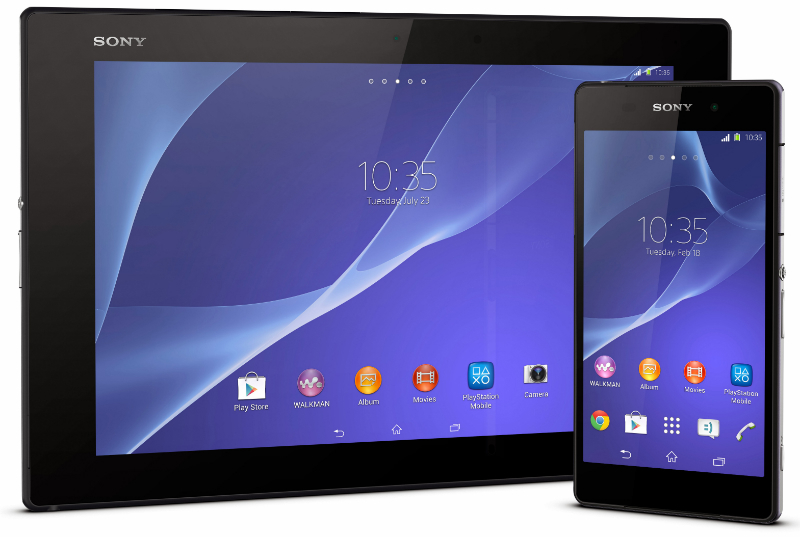 The Xperia Z2 Tablet is Sony’s latest foray into the full-size tablet market, where it will compete with the iPad Air, Surface 2 and Android rivals such as the Galaxy Note 10.1, Kindle Fire HDX and the ageing Nexus 10. The new slate has a 10.1-inch full HD (1080p) display, enhanced with its Triluminos and X-Reality technologies. Under the hood, meanwhile, is a quad-core 2.3GHz Qualcomm Snapdragon processor, 3GB of RAM and 16GB of onboard storage, supported with a microSD card slot for up to 64GB of extra space. It’s powered by a hefty 6000 mAh battery and offers two cameras – 8.1 megapixels on the back, 2.2 megapixels on the front. The Xperia Z2 tablet weighs 439 grams and is less than a quarter of an inch thick (6.4mm) – sleeker than the iPad Air’s already impressive 7.5mm thin profile. It runs on Android version 4.4 (KitKat) too, with Sony’s reserved skin, tweaks and exclusive apps for good measure. We believe that there is certainly space for a new Android tablet with a 10-inch (or thereabouts) form factor, especially if Sony can offer a software experience that is comparative to stock Android. For those who aren’t keen on Samsung’s TouchWiz skin, but can’t wait for Google to replace the Nexus 10, the Xperia Z2 could be a pretty compelling piece of hardware.